Raising debt instead of selling the business or bringing on more investors defied conventional wisdom in the tech space, but it ultimately set this video software company on the right path for a sustainable future. “Recently, we had to make a decision: Sell Wistia for a life-changing amount of money, or keep building the business ourselves.” So begins the soul-baring blog post written by Wistia cofounders Chris Savage and Brendan Schwartz. The software company built to create, share, and manage videos was at a crossroads — and the cofounders decided to take the road less traveled in the tech world. Wistia raised $17.3 million in debt so that Savage and Schwartz could do a leveraged buyout of their company. They used that debt to cash out angel investors and transition from employee stock options to a profit-sharing program. You can read about Wistia’s journey to profitability — and its downward spiral after deciding it needed to grow faster at all costs — in that blog post on Wistia’s site. Savage also opened up to Software Executive editorial board member and host of the Business of Software conference Mark Littlewood to talk about his experience (in a video chat, of course). Here’s the much-abbreviated version of the company’s journey: Wistia raised some angel money in the company’s first few years, just enough to reach the magical land of profifitability. Except profifitability wasn’t as magical as it seemed — the cofounders felt the pressure of conventional wisdom that rapid growth was the next step. Wistia’s strategy started to look more and more fragmented as it looked for more and more ways to accelerate growth. Creativity was hindered. Employee morale plummeted. Profitability was put on hold. Savage and Schwartz started fielding offers from serious buyers, and that’s when they decided to press pause. Explaining to angel investors why Wistia wasn’t headed toward a lucrative sale required some finesse. Savage and Schwartz had raised about $1.5 million in its early years, which included preferred shares for investors. When the cofounders announced their intention to raise debt and buy back the company, the decision was met with mixed reviews: Some investors were happy to be bought out entirely, some wanted to keep a little skin in the game, and some didn’t want to sell shares at all. Savage told investors, “We’re going to do this deal. 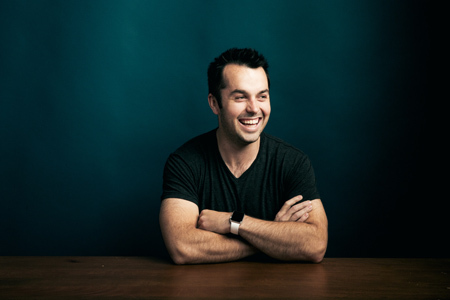 Brendan and I believe in the long-term health of the business, and we’re trying to build a lasting company.” In order to build a lasting company, Wistia’s cofounders wanted to regain control, which meant converting all preferred shares to common shares as part of the buyout terms. If any investors insisted on keeping their preferred shares, it meant they were accepting that there would not be a liquidity event anytime soon, and therefore those preferred shares would essentially be worthless. "The second we made that call, it meant that we were misaligned with our angel investors." Today, Savage and Schwartz have complete control of the company and the board. Wistia has come full circle and is back to operating as a bootstrapped company. Raising debt also meant employee stock options were misaligned. Wistia, founded in 2006, had a four-year vesting plan for employee stock options. “In the buyback, we felt also a responsibility to take care of employees and to be clear about where we’re going,” Savage says. “We didn’t want to do wrong by anybody who had come in excited about their options.” Options were forwarded vested based on tenure, and employees had time to weigh the strike price before deciding on how much to sell. "Once we started talking about the numbers, people came back with ideas pretty quickly, saying things like, ‘yeah, we can cut costs over here.’ ... Suddenly the team was just solving these problems, and at company meetings there were more people getting excited about the financials and how the business was doing." Savage and Schwartz were certainly patient after they decided to take on $17.3 million in debt. It took months for the financing to be finalized and several more to sort out investor and employee stock option buybacks. The process started back in October 2017, and the public announcement — that blog post — was released in July 2018. In the year since, Wistia’s Q1 revenue was up 40 percent YoY. The company is back to being profitable. Its latest product, Soapbox, has amassed a user base well into the nine figures. The team rebuilt its user dashboard, chewing off a small piece of technical debt that never would have made the to-do list during its hyper growth mode. Wistia is also proving that creativity can be a byproduct of a cost-conscious culture. Its latest marketing project, “One, Ten, One Hundred,” drew national attention from the likes of TechCrunch. The company gave an LA-based production studio a $111,000 budget to produce three video ads for its Soapbox product. One video was made on a $1,000 budget, the second on a $10,000 budget, and the third on a $100,000 budget. Wistia then launched a fourpart original documentary series based on the project.